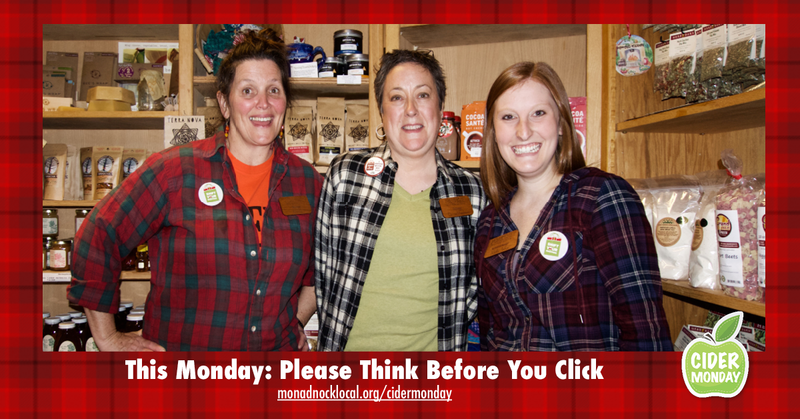 Monadnock Buy Local celebrates Cider Monday to bring attention to the effects of online sales on our community. 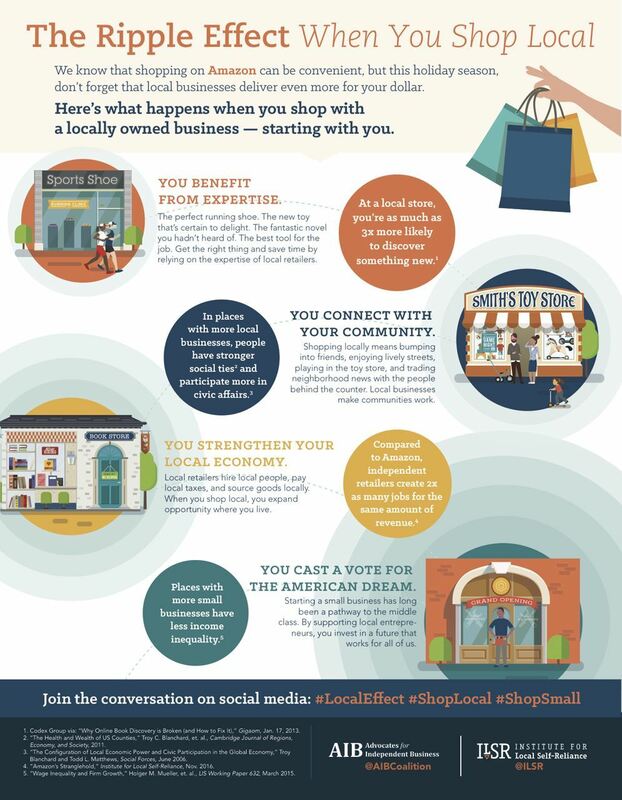 You love the idea of buying local, but the next thing you know … click, you bought that blender online from a business based far from our community. It’s so easy! And your one purchase won’t really make a difference… or will it? 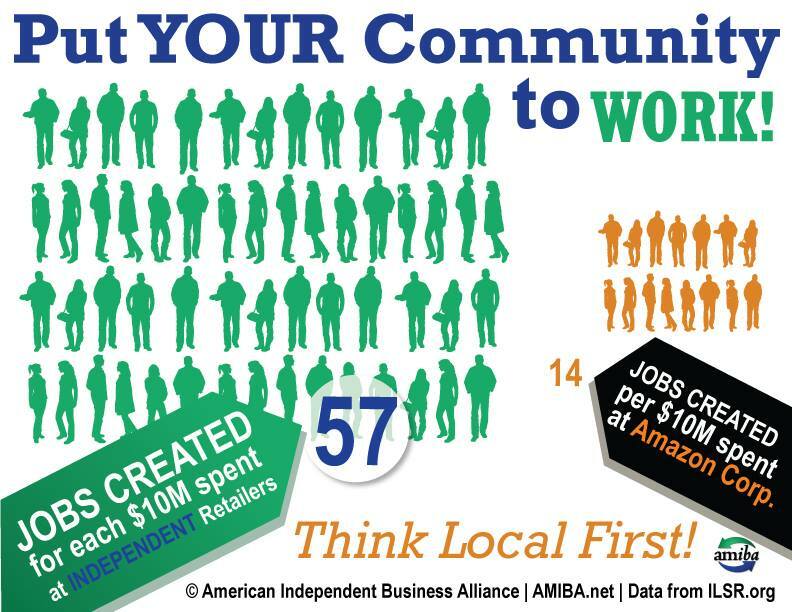 Monadnock Region independent retailers return, on average, $62 of every $100 spent at their business back to our local economy. This money recirculates through our community, boosting job growth, charitable giving and civic engagement. 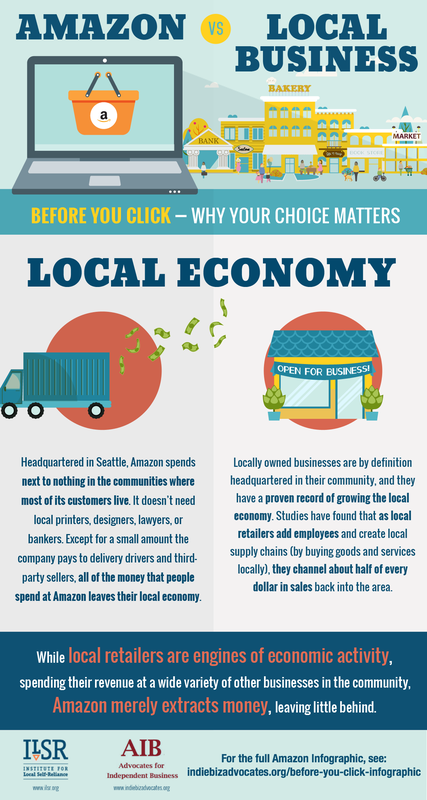 While national chain stores return $14 of every $100 spent, for Amazon the money returned to the local economy (called the multiplier effect) is close to zero. To get more specific about jobs, one study found that independent retailers employ 57 people for every $10 million in sales, while Amazon employs only 14 people per $10 million in revenue. In 2014, Amazon sales in New Hampshire resulted in a net loss of 1,193 retail jobs -- while the company employed only 130 workers in our state. The latter statistic comes from a study by Civic Economics called “Amazon & Empty Storefronts.” The study found that Amazon’s sales in 2014 resulted in the loss of over $1 billion in tax revenues, 135,000 retail jobs, and 107 million square feet of commercial space nationally. 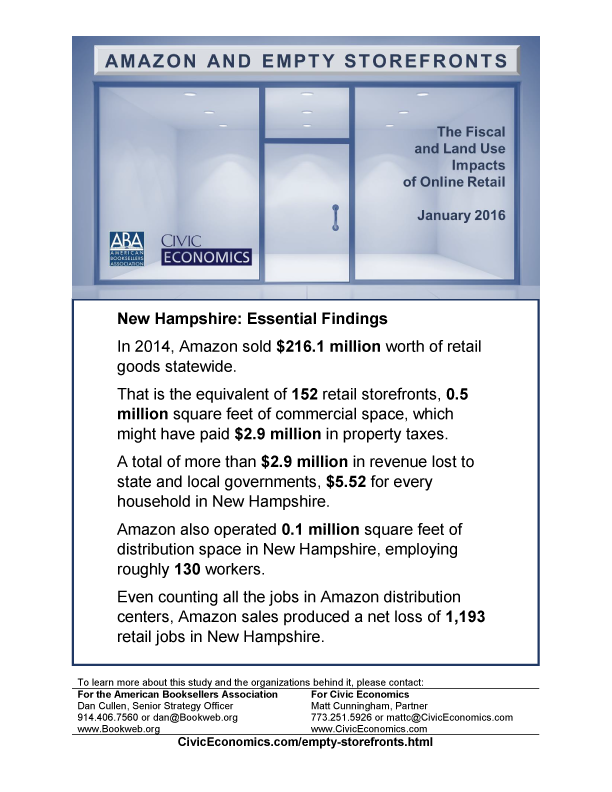 In New Hampshire, the study compared Amazon’s sales to the equivalent of losing 152 retail storefronts. As these sales go to Amazon, instead of locally based businesses, state and local governments lost property tax revenue totaling $2.9 million in 2014. It’s also critical to note that Amazon makes up only 1/3 of all online sales. Therefore, the total impacts are likely much larger than those estimated in this report. In some communities, the cost to taxpayers is even more significant when economic developers offer tax rebates and subsidies to attract Amazon to base some of its operations in their region. In 2012, Amazon received $8.5 million in subsidies to build a new warehouse in Delaware and a $2 million grant to expand its presence in Indiana. The rise of online shopping, undercutting Main Street retailers, also changes land use patterns. Amazon warehouses aren't placed downtown, but in remote industrial parks. The report concludes that demand for Main Street storefronts will decline, along with city and town government’s tax revenue base. "This unprecedented study makes abundantly clear the deleterious effects on the American economy resulting from Amazon's strategy of retail dominance," said Oren Teicher, CEO of the American Booksellers Association. "It's our hope that the facts included in this report will help policymakers and the public better understand the need for more diversity in the marketplace, and recognize the potential long‐term costs of the loss of healthy local economies." 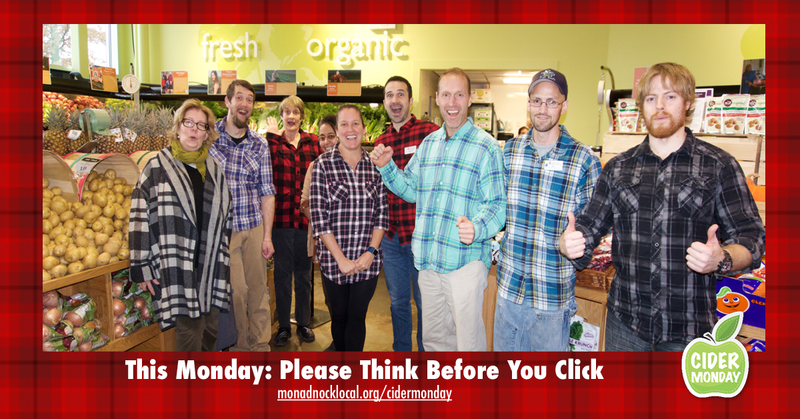 How can Monadnock Buy Local inspire you to shop with your values in mind? Are there opportunities for independent businesses to adapt to the pressure of online shopping? 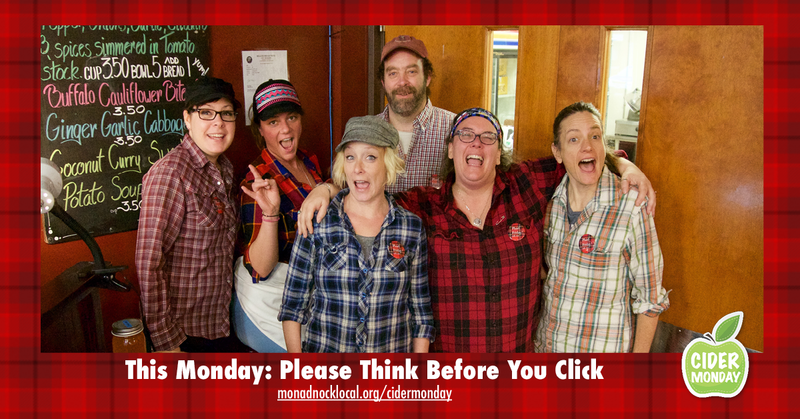 Let us know what you think by emailing us at monadnockbuylocal@gmail.com. Remember, every purchase -- and click -- counts. 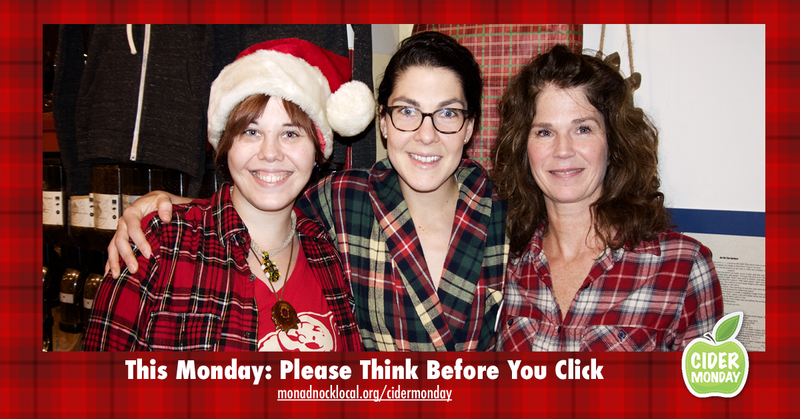 Please think before you click!